This Gluten Free ~ Dairy Free healing soup recipe is for all of my sickie friends. The Yucky stuff is going around like crazy, so if you know someone who was is down with the cold or respiratory flu, you would be considered an angel for bringing this soup to them. My healing soup from Aroma & Olive Oil works fantastically on sore throats and seasonal colds. 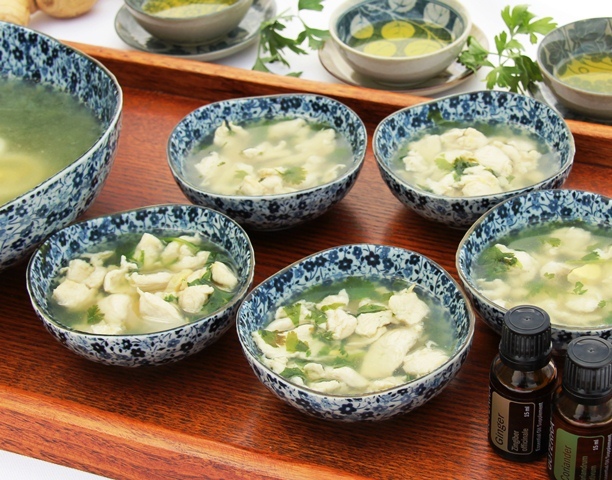 But don’t wait until you are not feeling well, as it is so delicious and warming anytime you are in the mood for something comforting and fragrant. 1. Rinse and partially freeze chicken for 2 to 4 hours. Remove from freezer and slice thinly. 2. Coat sliced chicken with salt, pepper, and cornstarch; let rest for 10 to 15 minutes. 3. Using a small bowl, combine Olive Oil, sesame oil, Ginger and Coriander Oils; set aside. 4. In a large pot, bring broth and water to a boil. Turn heat to low and add cilantro; continue to simmer for 10 minutes. 5. While simmering, stir in prepared chicken and cook for another 3 to 5 minutes. Remove from heat and stir in blended Oils. Garnish with cilantro leaves and sliced eggs. Serve hot. Never use an essential oil for internal use unless it has a food facts label. Oishii ! おいしいですよ ! is how everyone describes my Tonkatsu とんかつ , and all it will take is one bite before you will be speaking Japanese too. If you have not yet tried a traditional 19th century Japanese breaded pork cutlet, what are you waiting for? Tonkatsu is crunchy, tender, filling, and delicious. Oh …and by the way, using olive oil for frying you not only end up with a crispier crusted cutlet, you are also treated to the added benefit of monounsaturated fat (that’s the good, heart-smart stuff ). 2. Coat each chop in flour, dip into beaten eggs and press into bread crumbs to coat both sides. 3. Pour about 1 inch of olive oil into a large skillet and heat over medium high until hot. Place 1 to 3 cutlets at a time in the hot oil. Deep-fry until golden brown, about 5 to 7 minutes, turning them only once. 4. Drain on paper towels and cut the pork into bite-size strips. 5. Arrange on individual plates. 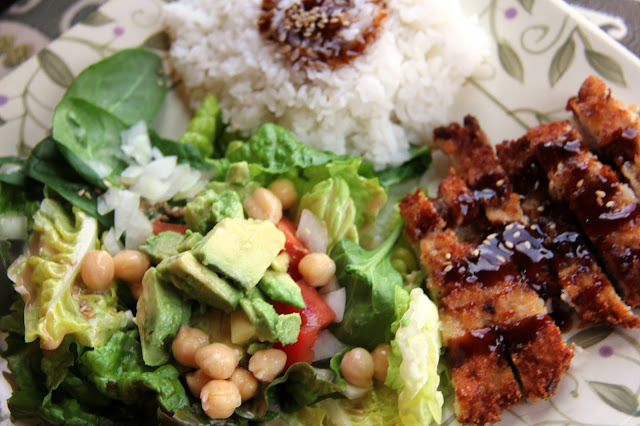 Drizzle katsu sauce on cutlets, sprinkle with sesame seeds, and serve with white sticky rice* and salad. *found online and at Asian grocery stores. I can only imagine what the experts on his show were thinking, but they were polite enough not to call him out and put him in the fridge, in front of millions of viewers. 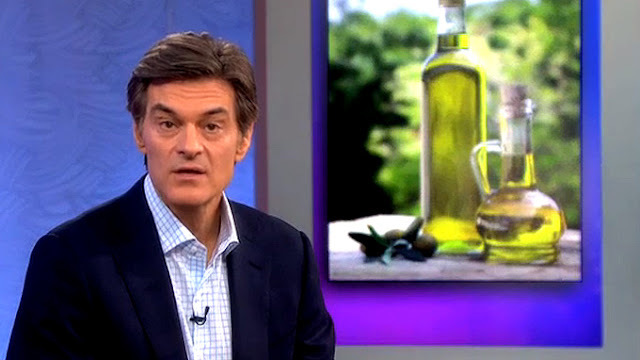 Olive Oil experts everywhere will tell you that what Dr. Oz shared was nothing more than a wives tale. We as the American public are just scratching the surface when it comes to understanding olive oil. Extra vvirgin olive oil is not just any old cooking oil. Just as wine has many varieties which differ from grape to grape, and harvest to harvest, olive oil too shares the many variations. Extra virgin olive oil is literally the juice of the olive fruit, and when cultivated, harvested, and processed with expertise olive oil becomes a delicious eatable life giving serum. Although many extra virgin olive oil varieties will coagulate when put in the fridge, some will remain fluid even under cold temperatures. ♥ A dark colored glass bottle. ♥ A harvest date stamped on the bottle. It is even better if the harvest location is stamped on there as well, but that is a rare find in an American grocery store today. 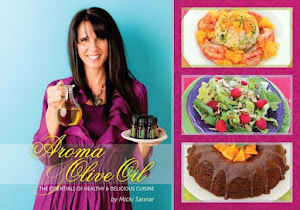 I am a staunch advocate of knowing where your food comes from, and olive oil is no different. The further we are removed from knowing where it comes from, the closer we are to being duped. If you are one of the lucky people who happen to live in a city where there are one or more olive oil specialty stores, I encourage you to pay them a visit. The owners are often well educated when it comes to olive oil. Once there you will have the opportunity to taste the difference between blends and varieties. After tasting the many types of olive oil, you will gain a quick understanding of the differences in intensity and flavor. Many of these stores will often post nutritional evidence of the quality of their oils with each variety and blend they sell. 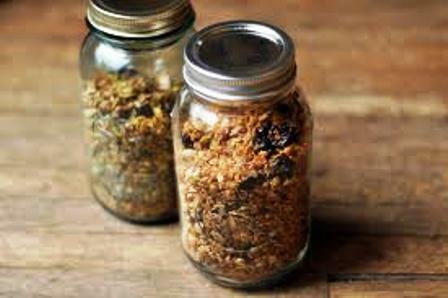 You do not need to be a hippie to enjoy this yummy granola. But after just one bite don't be surprised if the word "grooooovy" slips past your lips. This is one delicious breakfast cereal that will delight even the pickiest of eaters. Olive Oil Granola is a staple in our kitchen. We use it for everything from yogurt fun, to topping our ice cream sundaes. It is especially a great treat for people who must swear off gluten and/or dairy. But don’t let that scare you, as this cruncher has converted many a die-hard junk cereal fans into healthier breakfast eaters. If you want less sweet skip the sugar; it's delicious either way. If you really want to be in good morning heaven, pour a little of your cold homemade almond milk over the top.... and oh baby!!! 2. In a large bowl, combine oats, nuts, apples, cereals, coconut, and brown sugar. 3. In a small saucepan add honey, olive oil, vanilla and salt. Heat over a medium flame until very hot, but not boiling. 4. Evenly pour hot honey mixture over dry mixture, and toss to combine. 5. Divide mixture and fold out onto 2 large sheet pans (jelly roll). Bake for 1 hour and 15 minutes, turning with a spatula every 20-30 minutes to achieve an even color. 6. Cool for 20- minutes and transfer into a large bowl. Add craisins, and blend until evenly distributed. This is a very large batch and stores well in mason jars or Ziploc bags. 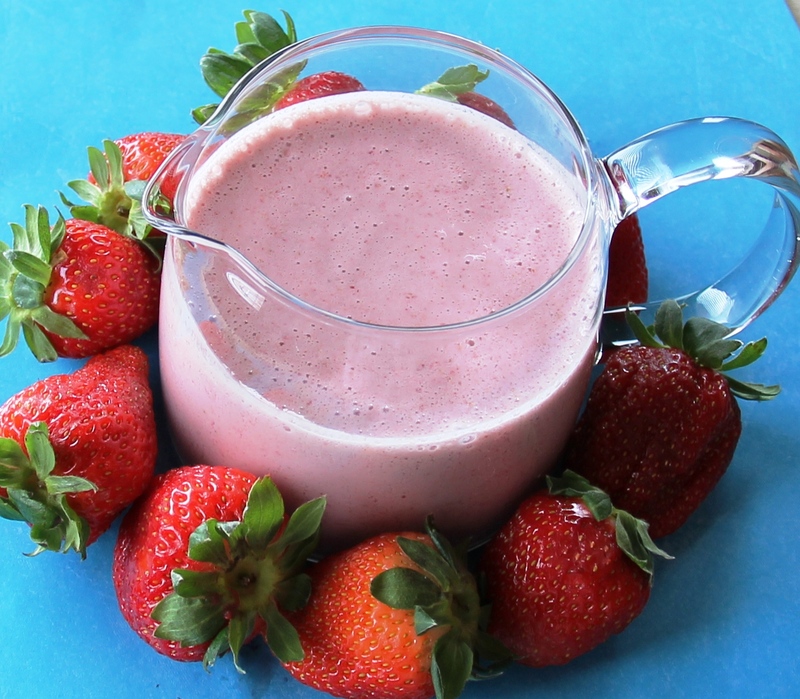 Make your almond milk PINK and delicious naturally !!! Now that you know how to prepare your own homemade Almond Milk, it’s time to experiment and have fun with flavor. Because tomorrow is Valentine’s Day, wouldn’t it be fun to serve those you love some pink love milk? Strawberry Almond milk is so easy to make, and if you ask my family, of all of the almond milk drink flavors they have tried this week, strawberry is the biggest winner. Toss everything into a blender and mix on high until completely combined. Serve with a hug and a kiss.